What Sound System Is Right For You? W.A.R. Audio design, create and modify audio equipment for serious stereophiles. 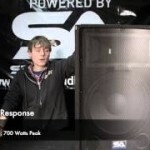 We deliver the best in hi-fi equipment, home theatre sound systems, live venues and car audio. From loudspeakers and high-fidelity cables to complete audio packages, W.A.R. Audio have the best sound around. Speakers are one thing, but we also have a select range of the finest counterparts to accompany your speakers. Our range includes both pre and power amplifiers, compact disc platers, speaker and power cables, the list is endless. We always aim to stay at the cutting edge of high end systems. After listening to a W.A.R. Audio system…there is no going back..